Having a casual engagement party? 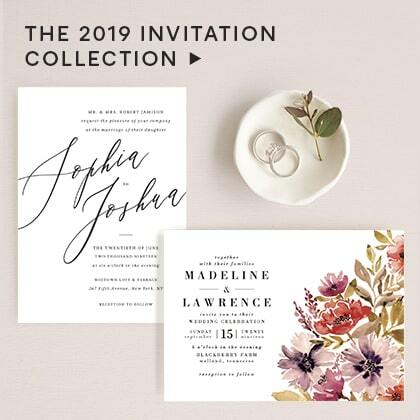 Minted has the perfect online engagement invitations for any get together. 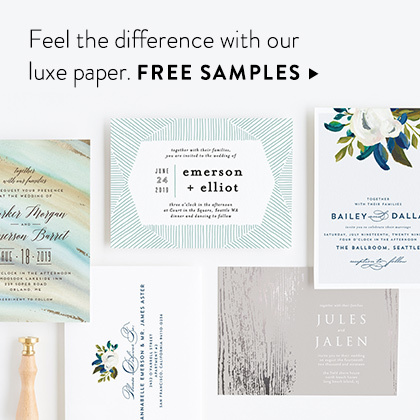 Each online invitation delivers a rich, cinematic experience sure to leave an impression. This includes the ability to quickly personalize your evites with event details and images. 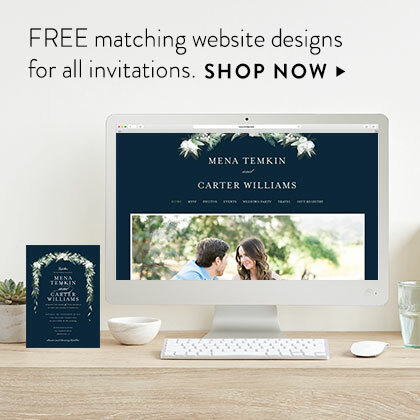 Minted’s online engagement invites feature easy-to-use hosting tools. Our polls, RSVP tracker, and commenting make sending an engagement party evite effortless. Need to send out more invites, or an event update, to your guests? No problem! 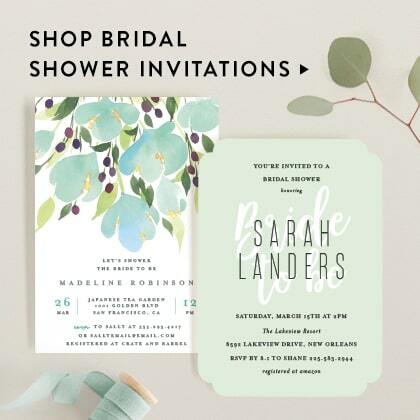 Our online invitations allow you to schedule guest reminders in advance and invite last-minute guests if you need to. Best of all, our online engagement invitations are FREE for a limited time. Send guests home with beautiful tokens of your appreciation, with Minted's Color Library. Designed in flawlessly matching colors, you are sure to find a favor to match your event. From candles, to tote bags, and beautiful art deco bottles, your guests will love your selection for years to come. Need a luxe ribbon and favor tag to tie it all together? 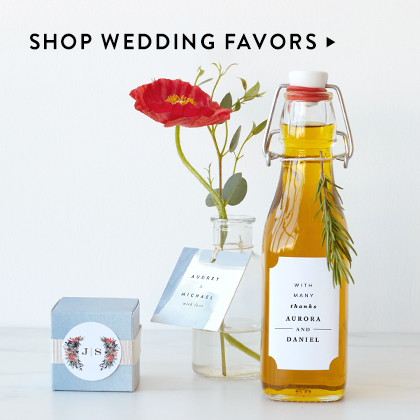 We have completely custom designs to add a personal touch to your wedding party favors. 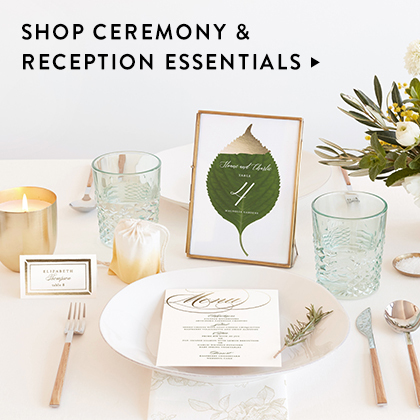 Now that the wedding planning process has officially begun, find inspiration with Minted wedding ideas. 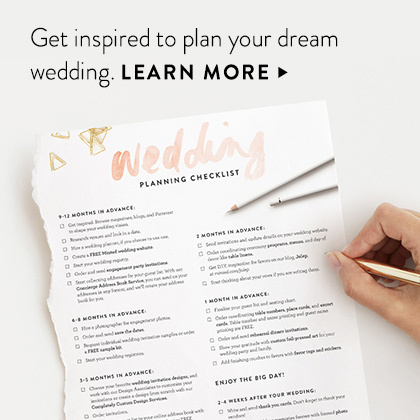 From color inspiration, to engagement party ideas, to the ultimate wedding planning checklist, we have all the info you need to plan your dream wedding. Beginning from the moment you say “Yes!” to well after you say “I do,” Minted can help you stay organized every step of the way.